I have always loved eggplants. They are one of my favorite summer vegetables. The other day I wanted to use up some eggplants from our garden, so I made this delicious spread. 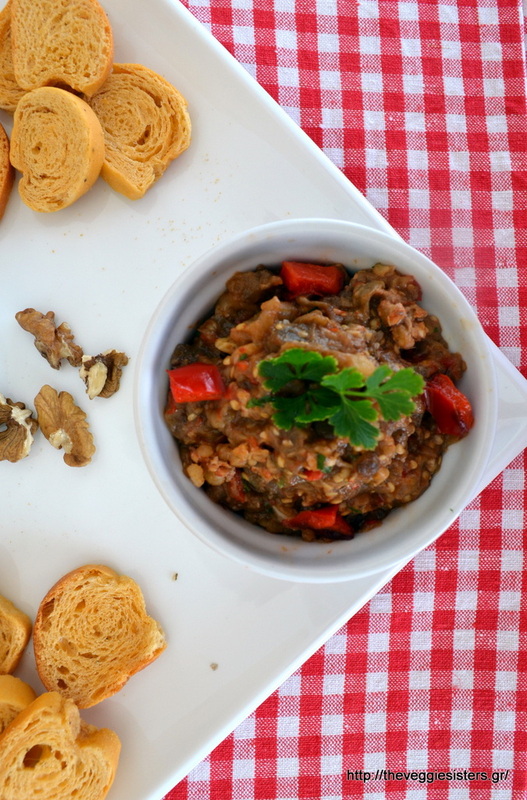 Last year I had made an oriental version of eggplant spread, the baba ghanoush, which was also really tasteful. 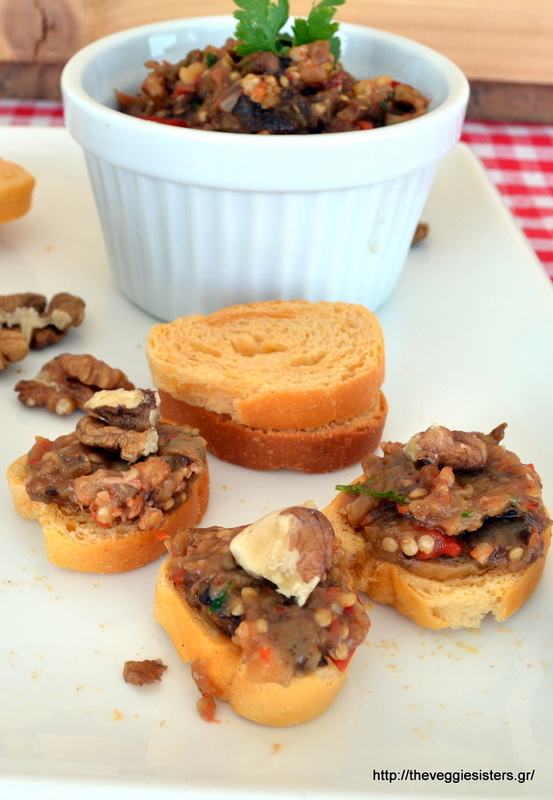 Anyway, the new spread was a real hit and we enjoyed it on rustic bread and on rusks. Take care, my sweet friends! Make holes in the skin of the eggplants and place them along with the onion, pepper and garlic (wrapped in aluminium foil) in a baking pan lined with parchment paper. Pour 1 Tbsp olive oil and grease the veggies with your hands. Bake in preheated oven at 200C for about 40 minutes. When ready, allow to cool. Peel eggplant skin off. Finely chop the flesh of the eggplants and set aside. Place onion, garlic, parsley, half the pepper in a blender and pulse until smooth. 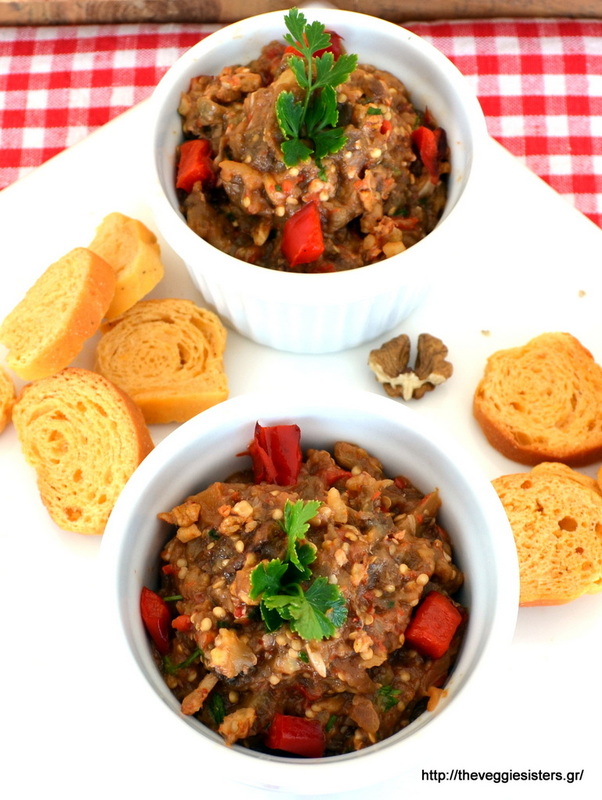 Transfer this mixture to the eggplant mixture and stir to combine. Pour olive oil and vinegar, season with salt and pepper. Top with walnuts and the rest of the pepper, chopped. It is better served cool. Enjoy! 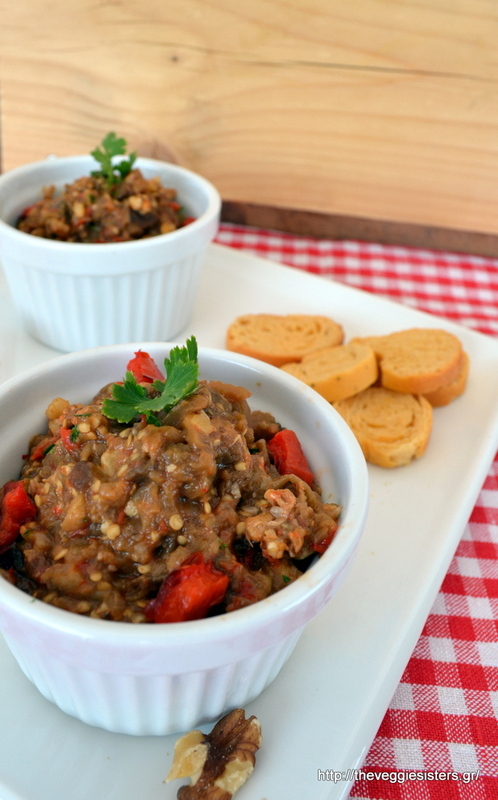 Share the post "Eggplant spread with red pepper and walnuts"